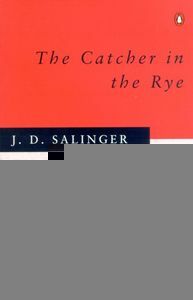 Just finished reading The Catcher in the Rye by J.D. Salinger. A random purchase, purely on the back of needing a new book, and it was the only one that ASDA had that appealed at the time. I quite like the idea of reading ‘classics’ every now and then. I had no pre fixed expectations of this book, I knew nothing about it. I liked it. Unexpectedly funny, in a Napoleon Dynamite kind of way. A story of a the inner ramblings of a churned up “nobody understands me” teenager, with his angst baggage of psychological and social perceptions. The outside illustrated a particular time and place at ‘street level’ – the late ’40’s New York. A fascinating snapshot of the city.